The Good Fight Season 3 is not that far away. CBS All Access confirmed the hit series will return to the streamer on March 14 and will unspool episodes weekly until the end of its 10 episode order. “Diane tries to figure out whether you can resist a crazy administration without going crazy yourself,” per the official logline. Elsewhere, “Adrian and Liz struggle with a new post-factual world where the lawyer who tells the best story triumphs over the lawyer with the best facts, and Lucca balances a new baby with a new love. Maia, meanwhile, tangles with a Machiavellian lawyer." 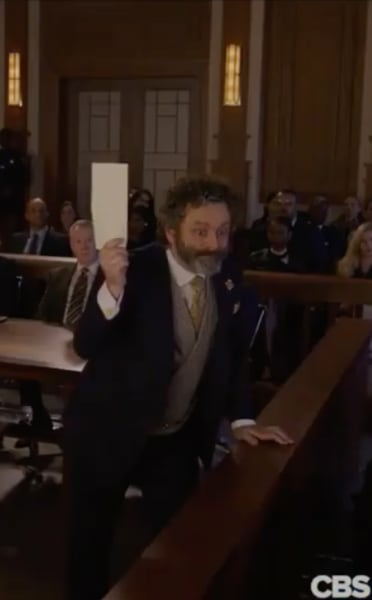 The new trailer was heavy on Michael Sheen's new character, and we think it's fair to say he's going to rub a lot of the existing characters the wrong way. Diane finds herself immediately mad at the new lawyer's existence, but she's got other fish to fry. Heck, at one point she locks and loads a gun, but we're not going to spoil all the fun when you can be feasting your eyes on the official trailer. 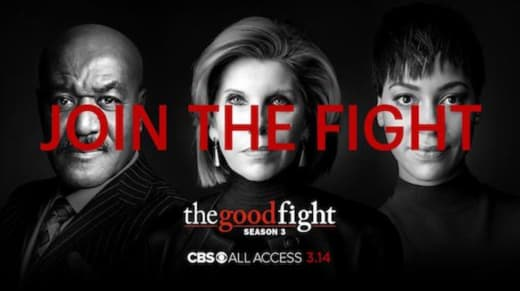 The Good Fight Season 3 will also feature returning series regulars Cush Jumbo, Rose Leslie, Audra McDonald, Sarah Steele, Michael Boatman, Nyambi Nyambi and Delroy Lindo. However, there's no telling how long Leslie will be sticking around. Her role has diminished since The Good Fight Season 1, and this new poster does not even include her. Have a look at the full clip below, and hit the comments with your thoughts on it. Permalink: Bad things happen to good people. Maia: Are we on the right side on this one? Diane: We're on a necessary side. People I thought with all my heart were guilty turned out to be innocent and people I thought were saints, they weren't. That's why you don't go on instinct. You wait, you listen and watch. Eventually everyone reveals himself. Julianna Margulies: CBS Refused to Pay My Asking Fee to Appear on The Good Fight! The Good Fight Season 2 Trailer: Making Up for Lost Time!